When it comes to running errands on the weekends during the winter, I usually go straight for my boots. But last Sunday's mild weather was just too nice and I decided to opt for Converse instead. Plus, I feel like my sneaks just don't get enough love, especially here on the blog, so I felt it was only right to give them a little attention. Admittedly, I felt a little like Danny Zuko in this outfit. But I'm hoping the leopard scarf makes it a little less "Grease." You are so cute! I really need to get a leather jacket...love this one! I LOVE my Converses!! I just bought a black pair so I can attempt to be a bad a$$ .. we'll see how that works :) Also, I need to get an army green jacket like yours (jealyyy)! Haha! I don't think you look like Danny at all or if so, a stylish one at least! Love the sneaks, you look too cute! 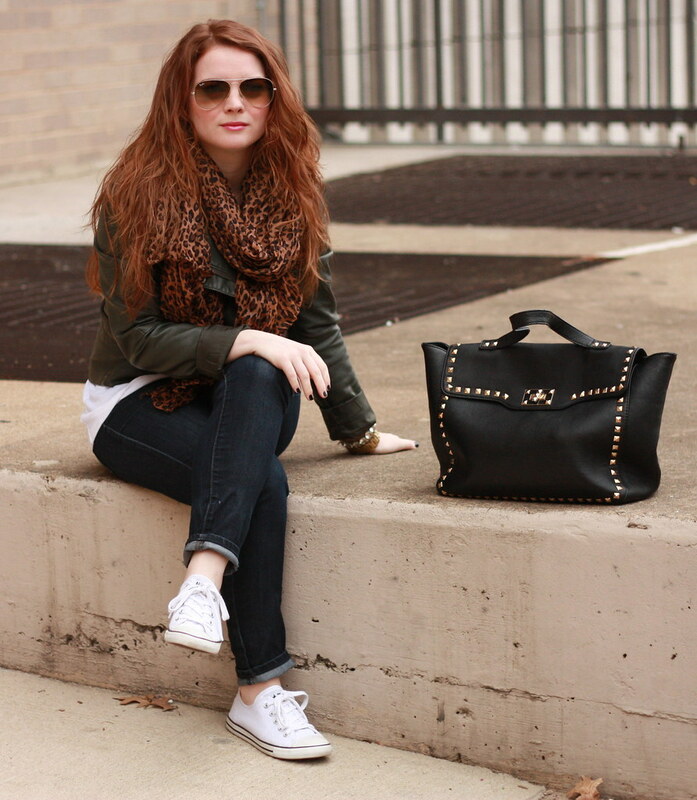 I love this laid back yet put together look! I cannot wait to break out my Converse sneakers too! Ah I am sure you hear this all the time but you look so much like LiLo (but prettier and much more pulled together - ha!) 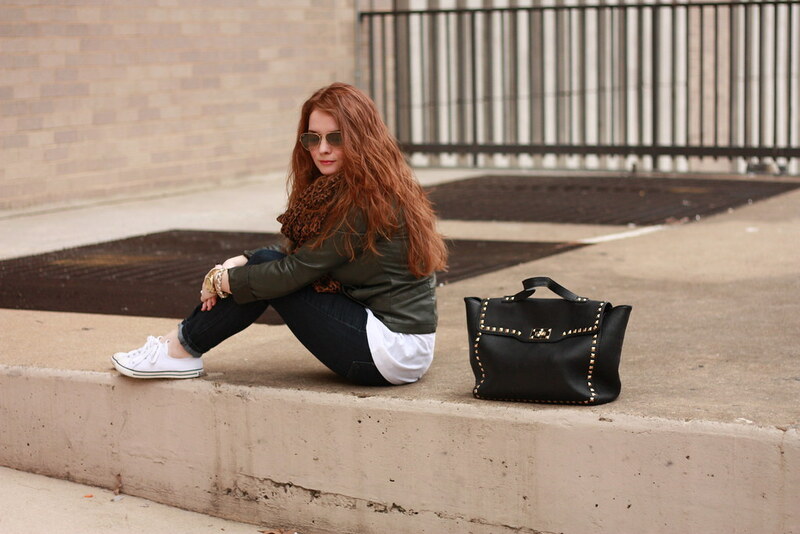 Love the converse! They are always such a comfy, easy go-to. This is the perfect on the go outfit! Been wanting a pair of white converses and now I think I definitely need to make the purchase. Love your hair! Go sneakers, go! I really love the white converse. Super cute. i love this dressed down chic look on you! that leather coat is amazing! Love your hear here - it's so effortlessly gorgeous! !